This entry was posted in UA and tagged новини on October 28, 2014 by FEMEN. 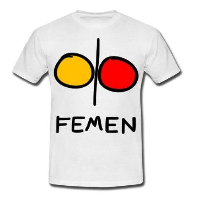 This entry was posted in UA and tagged новини on September 14, 2014 by FEMEN. This entry was posted in UA and tagged новини on September 11, 2014 by FEMEN. This entry was posted in UA and tagged новини on September 10, 2014 by FEMEN. This entry was posted in UA and tagged новини on July 15, 2014 by FEMEN. This entry was posted in UA and tagged новини on July 13, 2014 by FEMEN. This entry was posted in UA and tagged новини on June 6, 2014 by FEMEN. This entry was posted in UA and tagged новини on June 5, 2014 by FEMEN.